Q: Do you have factory9 A: Yes, we are OEM & ODM manufacturer in Donguan. Q: Do you have any certification9 A: Yes, we have CE, RoHS, FCC and ISO9001 right now. If you need other certification with large order, We can apply for it. Fan Cooling 3D Printer 12v 20A CCTV Switch Power Supply 250W SMPS Model No. S-240-12 OUTPUT DC VOLTAGE 12V RATED CURRENT 20A CURRENT RANGE 0~20A RATED POWER 240W RIPPLE & NOISE(max). ) 20ms/230VAC 16ms/115VAC at full load INPUT VOLTAGE RANGE 90 ~ 132VAC / 180 ~ 264VAC by switch 254 ~ 370VDC FREQUENCY RANGE 47~63HZ EFFICIENCY(Typ. 2. Tolerance: Including setting tolerance, circuit stability and load stability.(Note:5). 3. Wave test: Adopting "A12"double wire for 20MHz, and 0.1 UF&47UF capacitor short-circuit for interrupting. 4. Inlet voltage stability test: the lowest voltage will be up to the highest voltage when the circuit overload. Dongguan Chengliang Intelligent Technology Co., Ltd.
2. Non-waterproof, IP63 rainproof, outdoor use and installed following the arrow. 3. Automatic cooling fan and h eat sink cooling design, double cooling design . 5. Protections: short circuit, over load, over voltage, over temp. 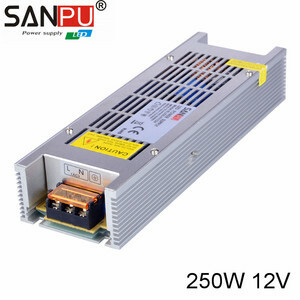 12v power supply 250w Description: brand name SANPU SafetyApproved CE ROHS Model Specification FX250-W1V12 DC output current 0-20A Output current error &plusmn;1% Rated output voltage 170-264v Wave and noise &lt; 65mVp-p Inlet stability &plusmn;0.5% Load stability &plusmn;1% DC output power 250W Efficiency 81% temperature &le;75&deg;C leakage current &lt; 3.5 mA/240VAC over load protection 115-135% hiccup mode,auto-recovery weight,size ,packing 0.72kg, 245*92*52.5mm ,20pcs/14.5kg l llustrate: 1:Constant valtage output 2:Output current accuracy:5% 3:Work with leading edge and trailing edge LED lamps 4:power efficiency:&gt;85% 5:power factor (PF):&gt;0.95 6:Ambient temperature:- 10&deg;C --+60 &deg;C 7:Ambient humidity:80% non-condensing 8:Mean Time Between Failure:&gt;30000h 9:2years warranty Exhibition: Promise: 1 . Your inquiry related to our products or prices will be replied in 24hours; 2. Well-trained and experienced staffs to answer all your enquires in fluent English; 3. Any your customized demand we can help you to design and put into product; 4. As professional LED power supply Manufacturer , we must give you the lowest price with high quality. 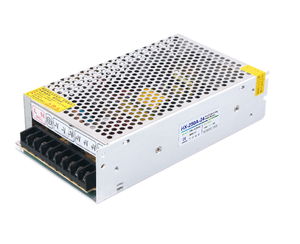 Alibaba.com offers 2,492 12v power supply 250w products. About 51% of these are switching power supply, 1% are adapters. A wide variety of 12v power supply 250w options are available to you, such as free samples, paid samples. 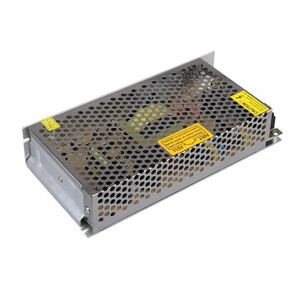 There are 2,528 12v power supply 250w suppliers, mainly located in Asia. The top supplying countries are China (Mainland), Taiwan, and Vietnam, which supply 98%, 1%, and 1% of 12v power supply 250w respectively. 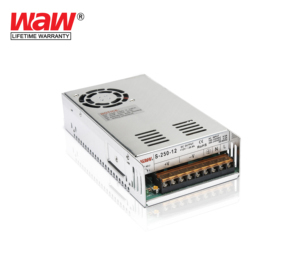 2v power supply 250w products are most popular in North America, Western Europe, and Domestic Market. You can ensure product safety by selecting from certified suppliers, including 595 with ISO9001, 299 with Other, and 152 with FSC certification.